Here at KCN, we understand how intimidating your first Sunday can be. ​first (and second and third and fourth) time guests. ​Here`s a walk through of what to expect on a Sunday morning. Parking | Where Are You Located? 309 E. Sabine, Kilgore, TX 75662 at the corner of Martin and Sabine. Street parking is available along the east side (Martin St) and south side (Sabine St). We also have a parking lot available on the west side of the church. ​Additional parking is available in the parking lot directly across the street. Children of all ages are welcome to stay in our worship service. Newborns and kids up to three years old are welcome in our nursery. Children's church is available for kids ages 4 through 6th grade during the morning worship service. 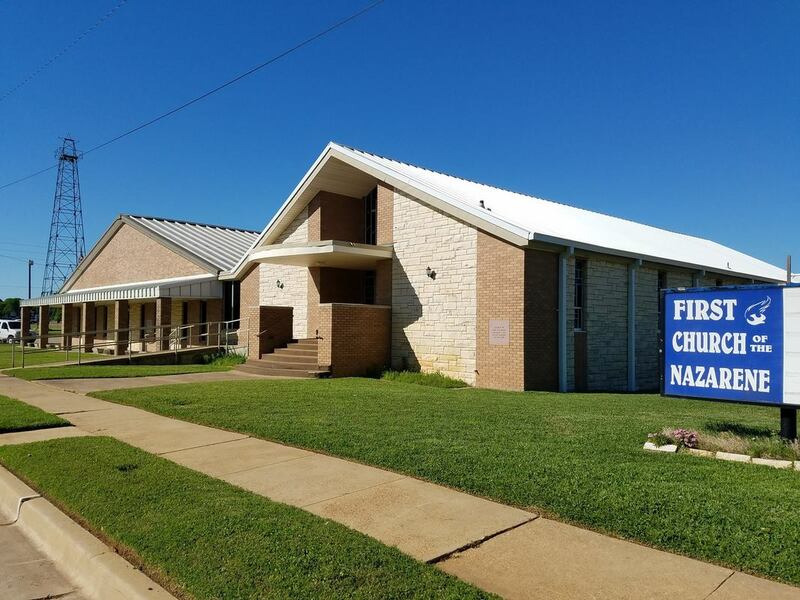 ​ checks as well as trained through the NazSafe program to make church a fun and safe environment for your kids. You can find more information about our NazSafe program here. During our worship service, we worship through music and listen to a message from our pastor. Services last about an hour. We celebrate with open communion once a month. ​Dress ranges from "Sunday Best" to jeans and tees. Expect to be greeted by a friendly face and handed a bulletin as you walk through the door. Ask our greeters any questions that you have and they will direct you around the church. ​greeted and shown to the sanctuary where you are free to choose any place you like to sit. Here at KCN we believe that giving is an act of worship. However, newcomers are under no obligation to give nor ​will they be asked about their finances.